Vermont Maple Sriracha Original 2oz Travel Size - NEW! Finest Kind, Inc. (“SBFK”) of Londonderry, VT. 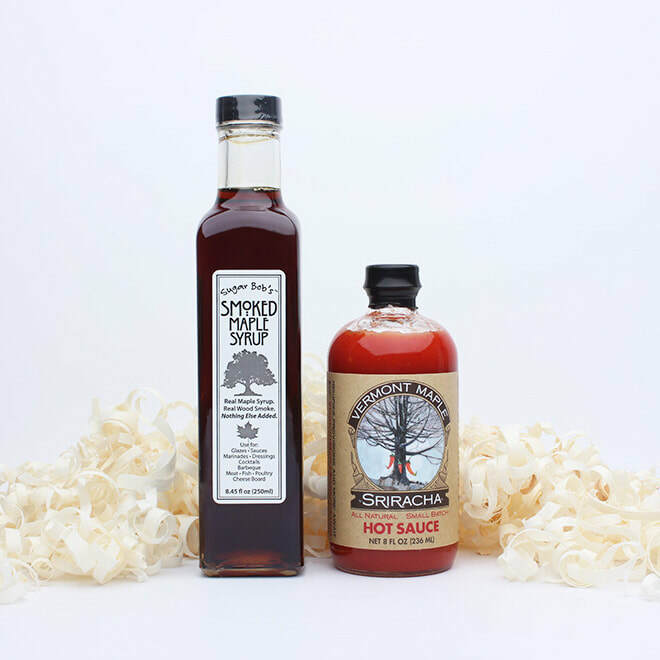 Founded in 2014 by Jackson Whelan and Lenny Montuori, VMC’s flagship hot sauce – Vermont Maple Sriracha – has become one of the region’s most popular specialty foods. The company’s product line includes several hot sauces, as well as roasted cashews and peanuts. Occupying 2500 square feet at the Vermont Farmers Food Center in downtown Rutland, VMC recently completed construction of a production kitchen, with bottling and packaging capabilities.